Maybe its You is a deeply personal series of portraits of everyday people in search of their unknown special someone. After reading their personal ads on Craigslist, photographer Jeffrey Aaronson contacted approximately thirty people in search of love across the United States and asked to photograph them with his one of a kind 20x24 inch Polaroid camera. What transpired was an intimate moment between photographer and subject, a portrait of hope and promise. 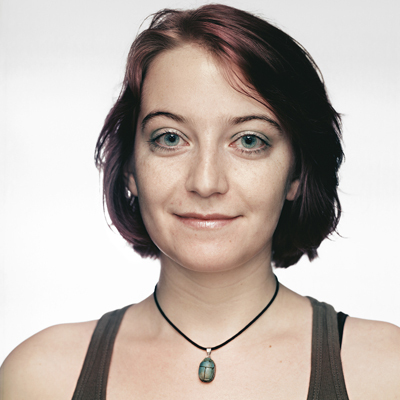 State Gallery is excited to showcase Mr. Aaronson's beautiful large format portraits. Each portrait combines not only the written words from the personal ad, but also the voice of the personal ad as read by its writer. State Gallery is located at 1219 State Street across the street from the historic Granada Theatre in the heart of the downtown Arts District. Gallery hours are 10am - 6pm Monday thru Saturday 11am - 5pm Sunday.